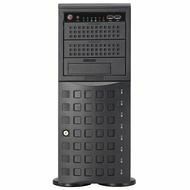 Using 14nm FinFET process, it's purpose-built to handle big data sets and a diverse range of computational workloads. The MI25 provides advanced monitoring regardless of the state of your GPU: GPU temperature, power, and other information. Provides a scalable, open source software platform optimized for large-scale heterogeneous system deployments. The MI25 GPU has 16GB of latest HBM2 ECC3 GPU memory with 484 GB/s of memory bandwidth. 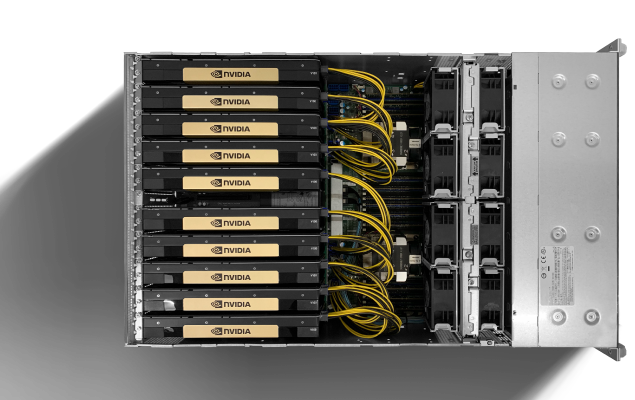 Including optimized framework libraries and deep learning framework docker containers for easier server deployments. 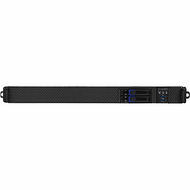 Ideal for data scientists, immersion engineers, and product designers support with up to 8x MI25 GPUs in a 4U Chassis. 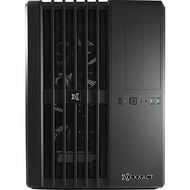 Exxact has combined its’ latest GPU platforms with the AMD Radeon Instinct family of products and the ROCm open development ecosystem to provide a new AMD GPU-powered solution for Deep Learning and HPC. 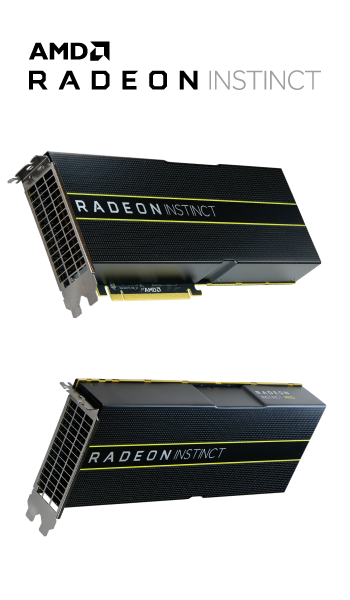 Featuring the Radeon Instinct MI25, our solutions incorporate the new AMD “Vega” architecture to provide professional-grade accelerators designed for compute density optimized for datacenter deep learning server deployments. 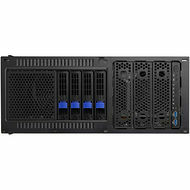 The MI25 server accelerator is the ideal solution for single-precision compute intensive training applications in machine intelligence and deep learning and other HPC-class workloads, where performance per watt is important. ROCm is the first open-source HPC/Hyperscale-class platform for GPU computing that’s also programming-language independent. 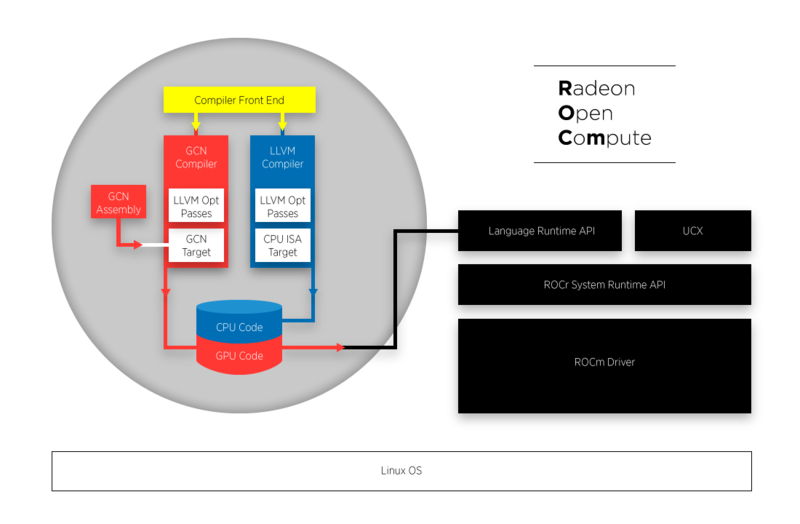 ROCm incorporates the UNIX philosophy of choice, minimalism and modular software development to GPU computing. 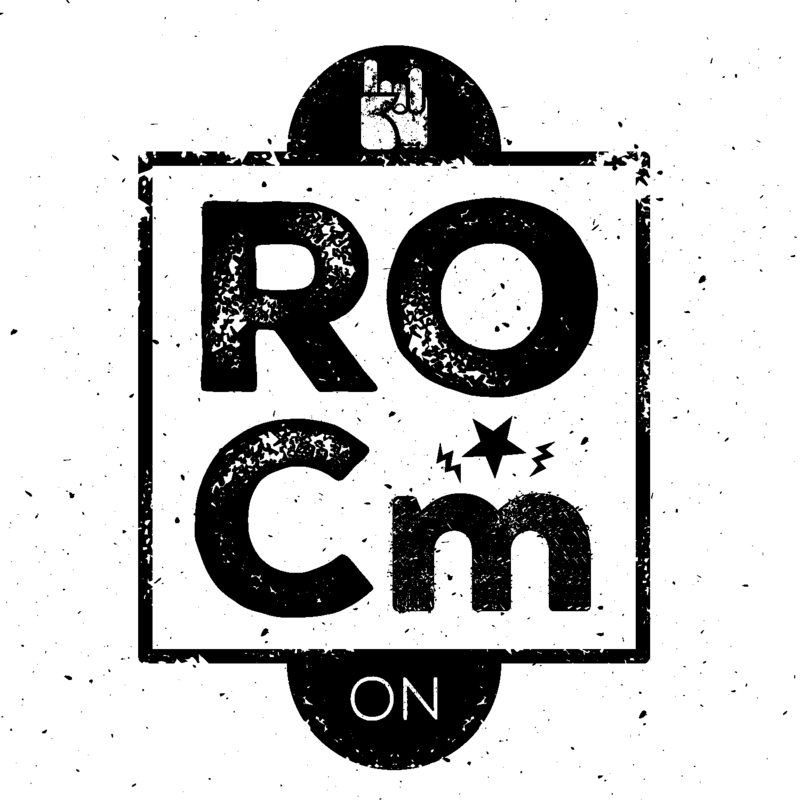 The new ROCm foundation lets you choose or even develop tools and a language run time for your application. SCALABLE, FULLY OPEN SOURCE AMD ROCM SOFTWARE PLATFORM. Comprised of an open-source Linux® driver optimized for scalable multi-GPU computing, the ROCm software platform provides the use of multiple programming models and supports GPU acceleration using the Heterogeneous Computing Compiler (HCC), which allows developers to process code more easily with the C++ programming language and provides full machine control for heterogeneous compute. OPEN SOURCE COMPILER, TOOLS AND LIBRARIES FROM THE METAL FORWARD. The Radeon Instinct’s open ecosystem approach with the ROCm software platform supports GPU acceleration using the open-source Heterogeneous Computing Compiler (HCC), which allows developers to process code more easily with the C++ programming language and provides full machine control for heterogeneous compute. ROCm provides a rich system run time, which is HSA 1.1 compliant, with the critical features that large-scale application, compiler and language-run-time development requires. The ROCm platform also includes a rich ecosystem of development tools and libraries, including the Heterogeneous Interface for Portability (HIP) Tool to help port code written for CUDA to C++ and MIOpen, a free, open-source library for GPU accelerators enabling high-performance machine intelligence frameworks including planned support for Caffe, Torch, TensorFlow, MxNet and others on ROCm platforms. EASIER, MORE FLEXIBLE PROGRAMMING MODEL THROUGH ROCM SOFTWARE PLATFORM. The Radeon Instinct Server Accelerators are fully compatible with AMD’s ROCm software platform, which provides an easier, more flexible, programming model for AMD GPUs compared to previous models by supporting ISO C++, OpenCLTM, CUDA (via AMD’s HIP conversion tool) and Python 1 (via Anaconda’s NUMBA) programming. 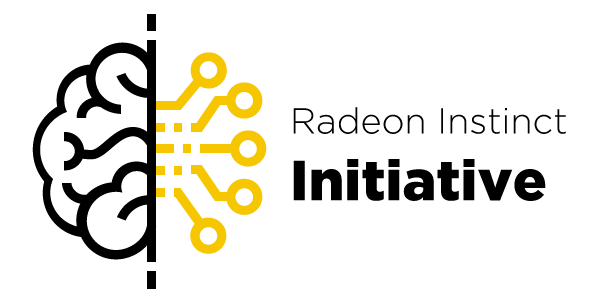 OPEN INDUSTRY ARCHITECTURE AND INTERCONNECT TECHNOLOGIES SUPPORT. The Radeon Instinct open ecosystem approach to heterogeneous compute brings support of major industry system architectures including x86, Power8, and ARM, along with industry standard interconnect technologies providing customer with the ability to design optimized datacenters for a new era of compute.